What is the purpose of the manhole barrier? 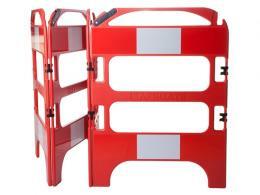 This high visibility manhole barrier from The Workplace Depot has been designed to be used around cable laying, manhole repairs and other temporary excavations. The chapter 8 barriers are lightweight and very easy to install. The modular design means you can configure the manhole barrier in several different ways and even fold the product up for easy storage and transportation. Thanks to the latest molding processes and being made out of plastic as opposed to steel, a manhole barrier can be scraped and battered without having to worry about rust corrosion or metal shape retention. 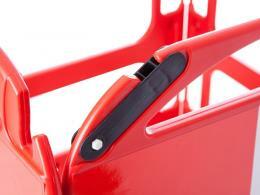 This product is extremely durable and 30 percent lighter which makes them effortless to transport. 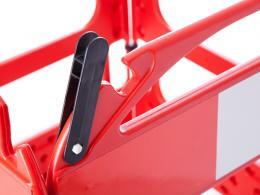 The top hinges make deploying straight lines easy and help to increase stability. Where can a manhole barrier be used? 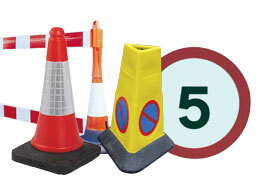 These roadworks barriers are perfect for ground works to protect pedestrian areas. It can be used as a road barrier, or more general traffic barrier to highlight potential hazards to pedestrians and vehicles. They can help prevent access to open drains, manholes, wet floor areas, spillages and trip hazards. These plastic barriers are by far one of the fastest barriers to deploy and they won’t get stolen for scrap metal! Who might use a manhole barrier? 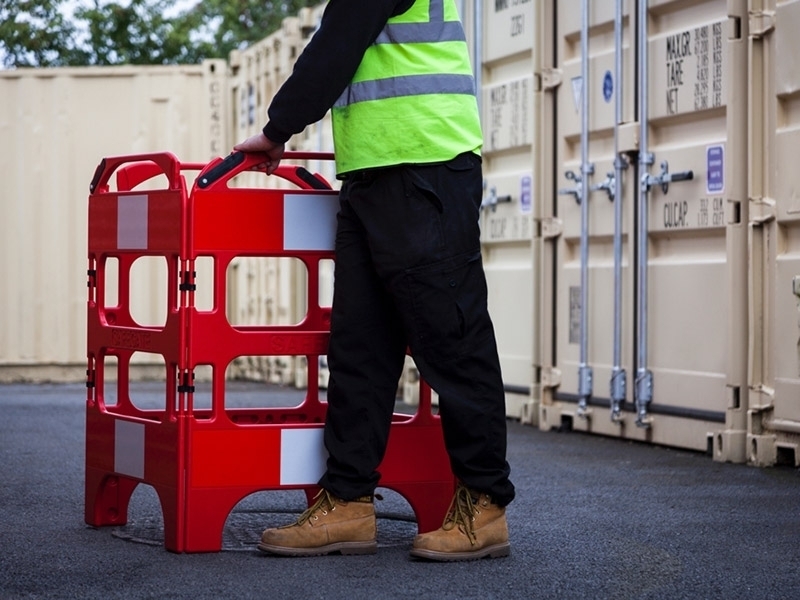 The compact design of this manhole barrier makes it ideal for use on roads, in supermarkets, in workshops and pretty much anywhere that needs to be closed off from pedestrians. 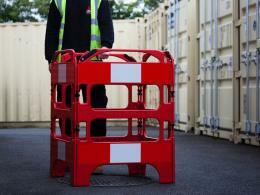 Order your manhole barrier today and enjoy free next day delivery. 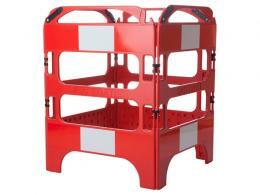 The item is compliant with Chapter 8 street works and each barrier weighs just 2 kilograms. The hinged clips make for super-fast assemble and the integral locking clamp assists with stability when several barriers need to be deployed in a straight line. The manhole barrier is made from high-density polyethylene and a single panel measures 3000L x 1000H. The Workplace Depot offers a one-year warranty on parts and labour and we accept several payment options for your convenience, including PayPal, MasterCard, Maestro and Visa. Order your manhole barrier today and you’ll get it tomorrow!